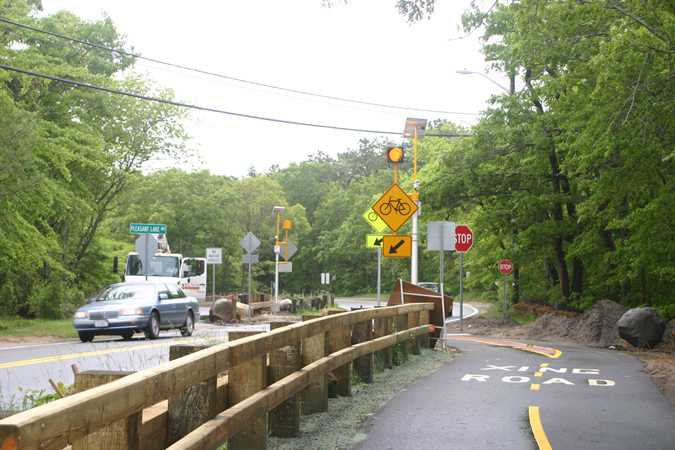 Motion activation means the warning lights come on before trail users hit the intersection without relying on a user to activate a push button. 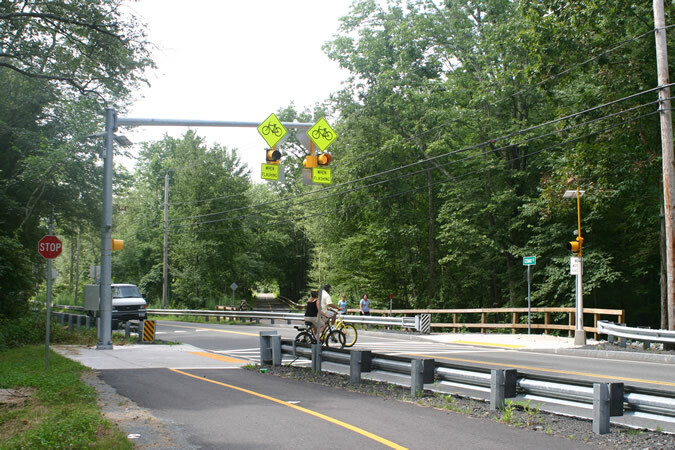 This is a classic rail/trail intersection treatment. 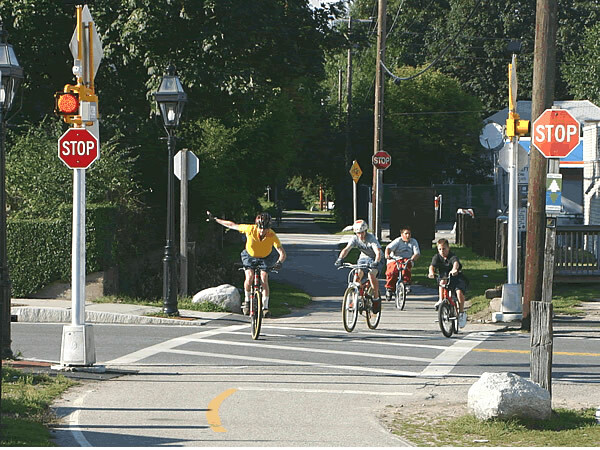 What's wrong with this crossing? 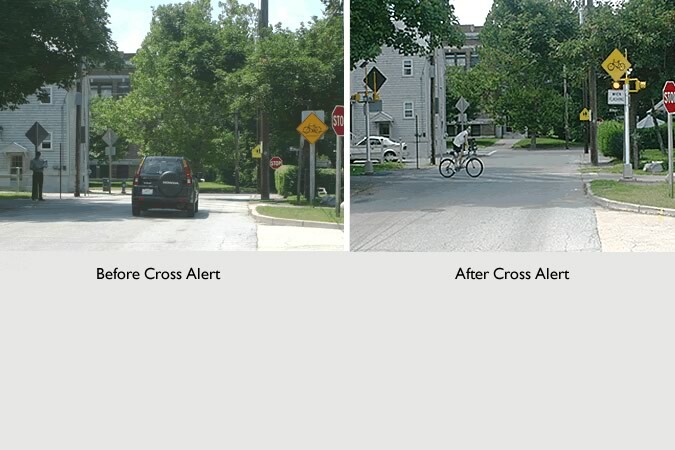 Cross Alert System's technology has been used to provide driveway exit warning systems. 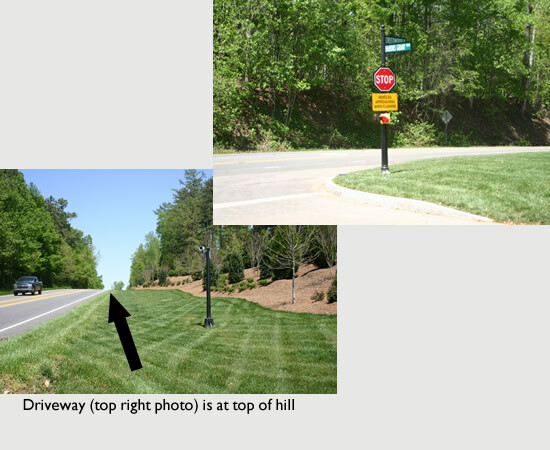 In the two photos left, a subdivision is located at the top of a steep climb on a high speed state highway. 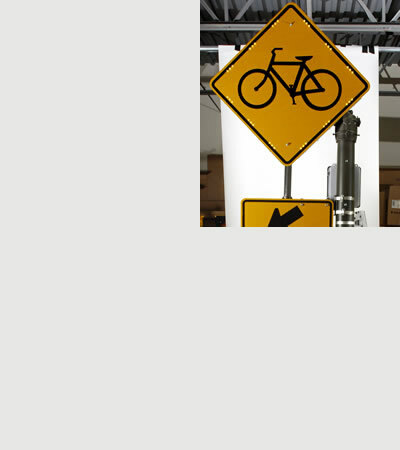 Vehicles exiting the driveway do not have visibility to vehicles bearing up on them at speeds approaching 60 MPH. 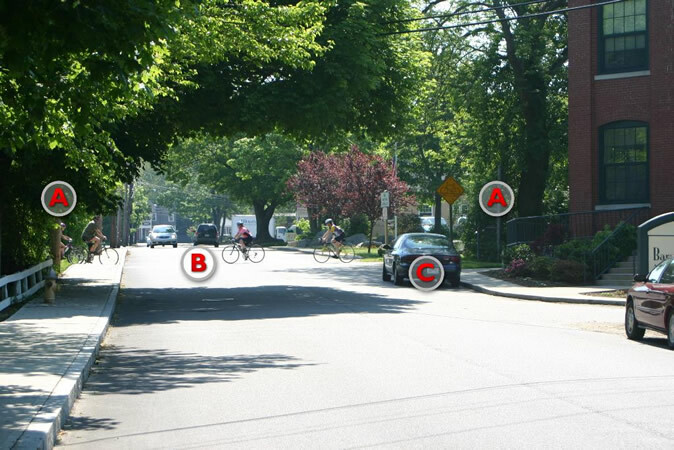 The solution involves using microwave vehicle detectors installed 600 feet from the driveway in both directions. The detector units are capable of detecting vehicles up to 200 feet away. On detection, the detection poles send a signal to the driveway beacon unit, which flashes a red warning light indicating that an approaching car has been detected. The units shown here are AC-powered units with a battery backup in case of power failure. 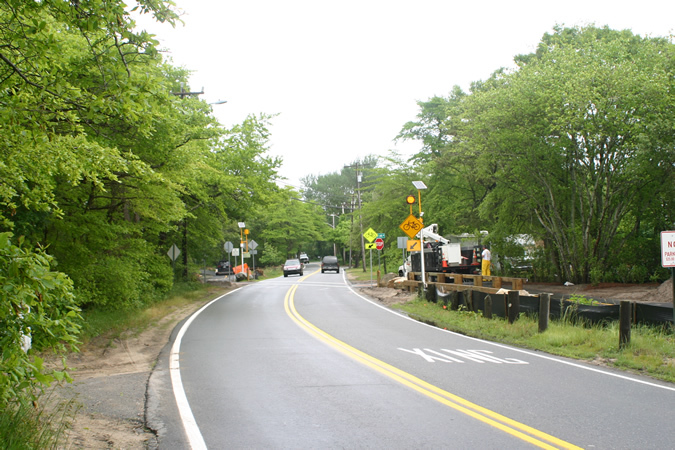 Configuration of the Cross Alert System on the Cape Cod Rail Trail in Dennis, MA. Note the sharp bend in the road after the intersection. 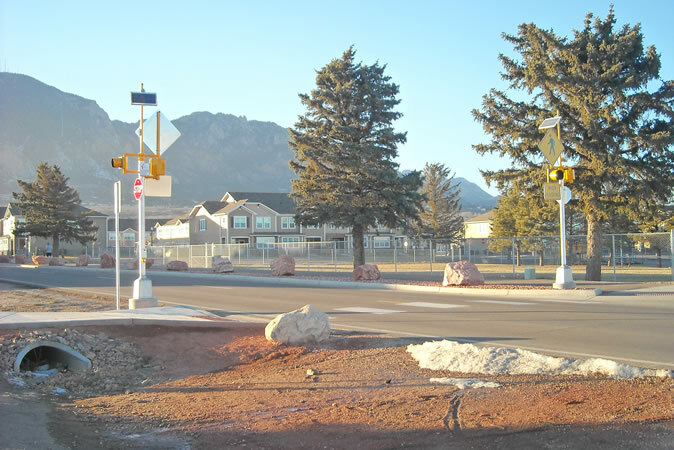 Although it was not specified for this intersection, Cross Alert would recommend mounting a rear-facing beacon on the pole in the foreground to provide additional visibility to drivers approaching from behind the foreground pole. 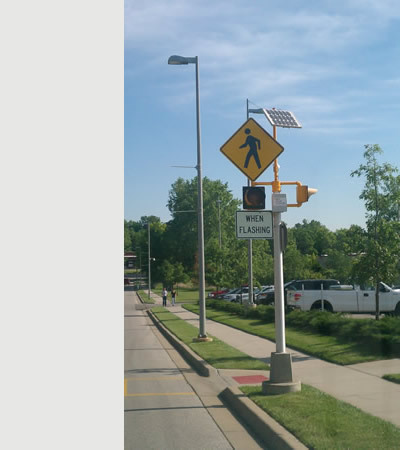 The Cross Alert System can drive multiple warning beacons and operate in areas with significant shade, requiring on average just 1.5 hours of direct sun a day. 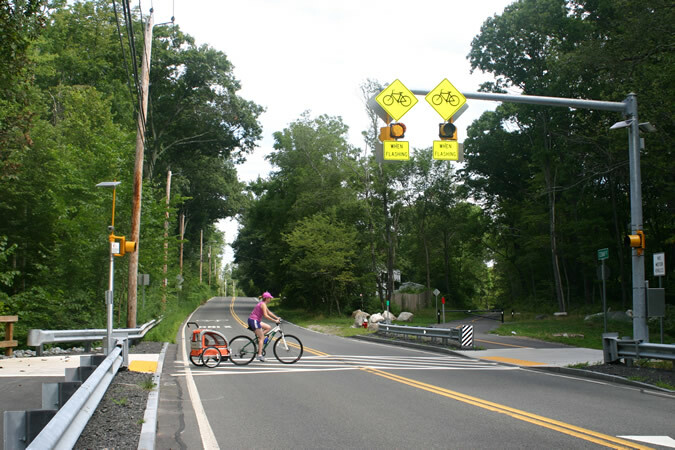 A mast arm and double warning beacons were chosen for this intersection due to the speed of approaching vehicles. 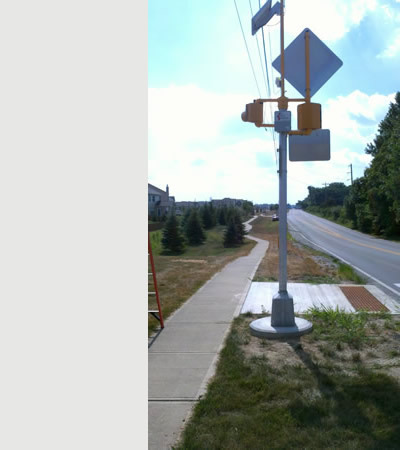 An advance warning pole works equally well when that advance pole is positioned 500 feet in advance of the crossing. Treatment for a side path. 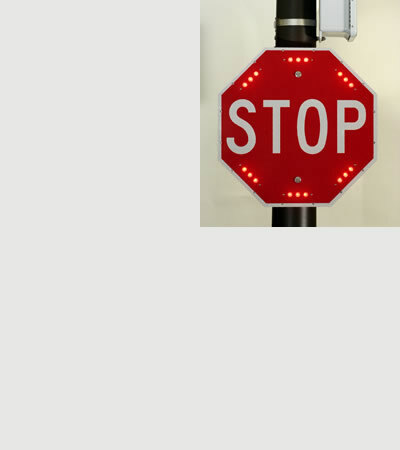 18" octagonal stop sign with embedded LED lights. 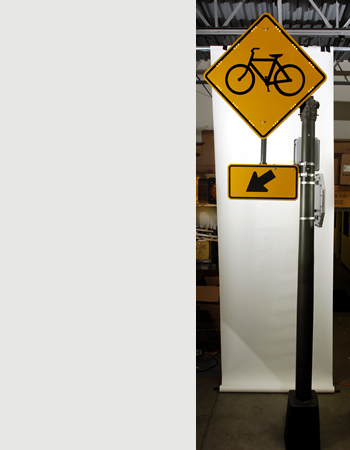 30" x 30" warning sign with embedded LEDs. Cross Alert can provide powder coating on most metallic surfaces.